This is a Lovely Mother’s Day Picture!! Featured here is a sweet Vintage image of a Mother with her daughter. The little girl appears to have dropped, and broken, a little clay pot or cup. She’s in tears, poor little thing, and her Mother is consoling her. This illustration was done by one of my favorite Artists, Kate Greenaway. Nice for your Handmade Mother’s Day Cards or Scrapbook pages! 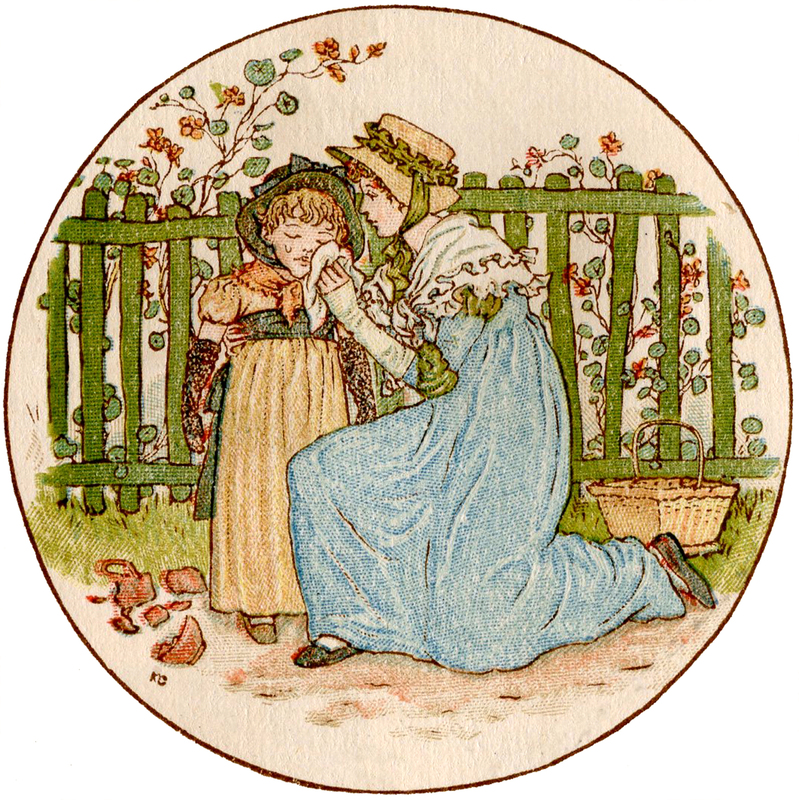 You might also like another adorable Mother’s Day illustration from the same book, you can find that one HERE. 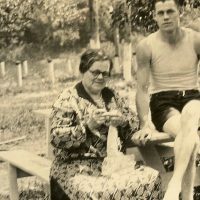 Funny Old Photo – Mother’s Day! 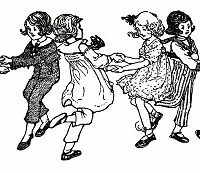 Vintage Image – Children Dancing – Swedish Song Vintage Peony Illustration – Beautiful! I love these images! Thank you for another beauty! So beautiful and touching! Thank you! Oh, yes. This will be my mother’s day card to my own mother. She is, after all, the one who introduced me to Kate Greenaway! Thank you again, Karen!